6 oz. 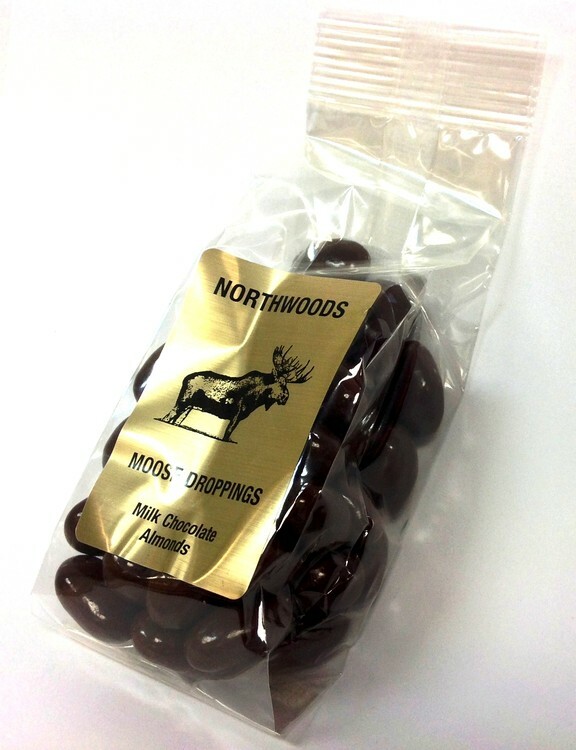 heat sealed cello bag filled with Moose Droppings: almonds dipped in milk chocolate. Makes a great food gift or Minnesota North Country themed giveaway.